If Climate Change is a thing maybe the Midwest turns out to be a big winner? Equities start the day lower but I start the day higher because it was 90 degrees all weekend! Look, if Climate Change is a thing maybe the Midwest turns out to be a big winner? (for the love of God I have no firm belief either way so please don’t @ me. I just like to write funny things about the stock market) Imagine if we had mild winters in IN, IL, WI, MN the population would triple! Anyway, let’s talk about this here stock market because there’s a lot to like right now. First, Factset has this gem for us: A Record Number of S&P 500 Companies Have issued Positive Revenue Guidance for Q3. Yea you read that right, a RECORD number of companies are issuing positive earnings guidance. You know what else? 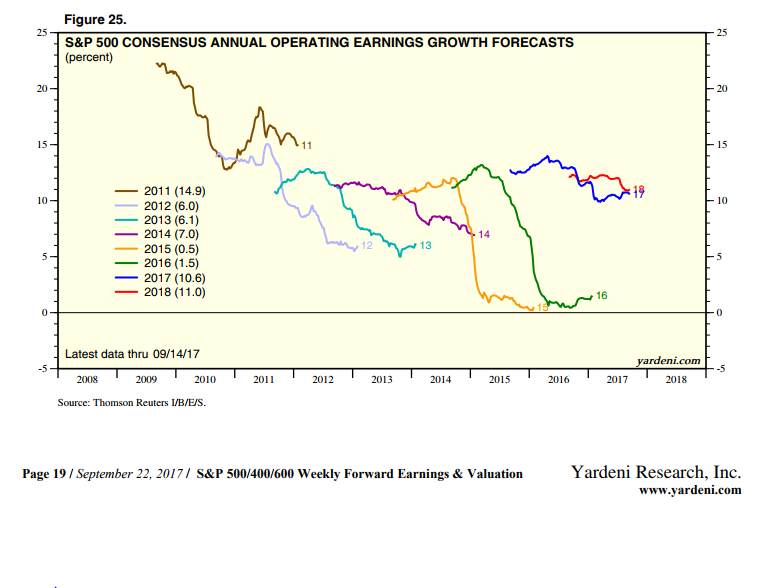 Estimates for earnings growth are actually RISING (they usually look like a ski slope lower). We have the Russell 2k at a new ATH, we have Microcaps at a new ATH, heck we have all the major indices at new ATH. Breadth? Just fine, an equal wtd SPX is at a new ATH and so are things like VTI (Vanguard Total Market index which holds stocks of all mkt caps). What don’t you like about all this? 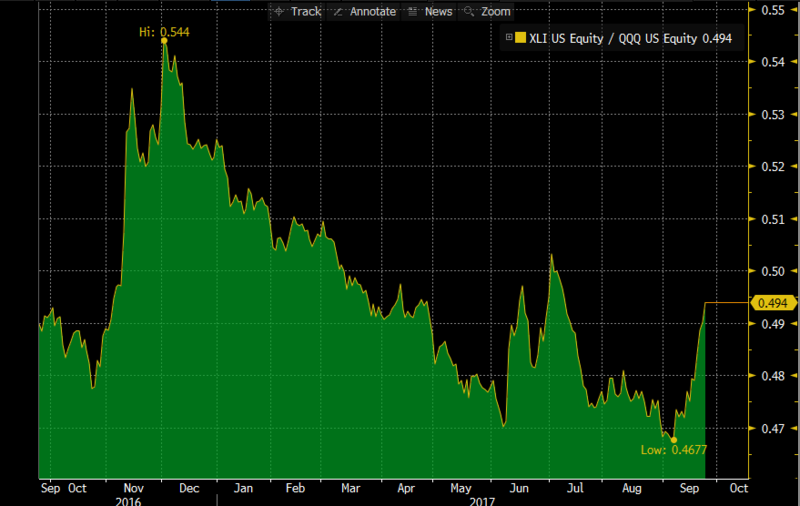 What exactly scares people right now just the valuation thing? My guy Ben says you want to be BUYING all-time highs: “Since 1980 the S&P 500 has experienced 737 new highs (171 in the recent bull market that started in 2013). Of those 737 new highs, only three of them were major tops”. I mean if you nailed those 3 they’d be making movies about you starring Brad Pitt or Angelina Jolie but the rest of us didn’t. So what’s next? What should we be looking for? Rotation….that’s what we want to see. Tech needs to take a breather and let other sectors join the party. 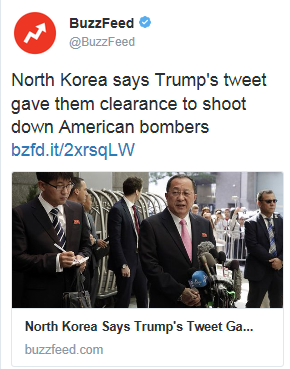 You know that scene in Bull Durham where Dances with Wolves tells Andy Dufrense that “strike outs are Fascist”? He wanted him to throw some ground balls, spread the action out among the infielders. That’s what we want Lieutenant Dan, action spread among the sectors (I watched a lot of NFLX to escape the heat). After the open we got EXACTLY what I just talked about, a nice big Tech puke. Why? Because they are up so much YTD and there’s a ton of negative press out there. FB with the political ads and Russia and the fact that they know 200 things about you they can sell to advertisers. AAPL with the watch reviews and delayed iPhone launches. AMZN with the, you know, job crushing thing in every sector known to man. NFLX with the “everyone will have their own streaming service”. I mean I can’t even watch this new Star Trek without paying CBS+ or whatever they are calling it $6 a month. What the heck? Look, these companies are dominating so much that a backlash may be inevitable. Josh Brown wrote about something similar here. The money quote: “Governments that feel threatened or genuinely fear for the safety and/or competitive position of their constituents will absolutely take action if they feel the need to”. That doesn’t mean that an army of Government lawyers is currently on the way to San Joe (I bet they don’t know the way), it just means that the larger these guys get, the more prone they are to outsized scrutiny. So yea, Tech bore the brunt of the selling but you know what? I think it’s healthy. I think it’s healthy for a bull market to rotate from time to time. Crude oil perked up to $52 maybe it’s Energy’s turn? Industrials are looking spicy, maybe it’s their turn? We don’t want to see one sector up 50% and the rest up 5%, that’s just not good for our long term complexion. Did I mention this was a headline today? Yea, 2017 in a nutshell. Daddy how did the Great War begin? Well son, there was thing called Twitter. Winners: let’s just say everything energy. Losers: Tech and more Tech. By lunch we had shrugged off the knee jerk reaction to that NK headline but still sat lower by 30bps. This is a thing people: “Loftium has an alternative strategy. It will contribute $50,000 for a down payment, as long as the owner will continuously list an extra bedroom on Airbnb for one to three years and share most of the income with Loftium”. So let me get this straight…I have to shelter a new stranger every few days for 3 years and in return Loftium will make a tiny down payment on my behalf? How about no, I don’t want to have Jigsaw in my home to save $200 a month in interest. Honey, let’s drop colored balloons signifying was gender baby we’re about to have! Sure John, sounds great! So I’m wondering….how exactly do you watch these? We’ll end tonight with a baby proving how easy the game of golf is. So simple.